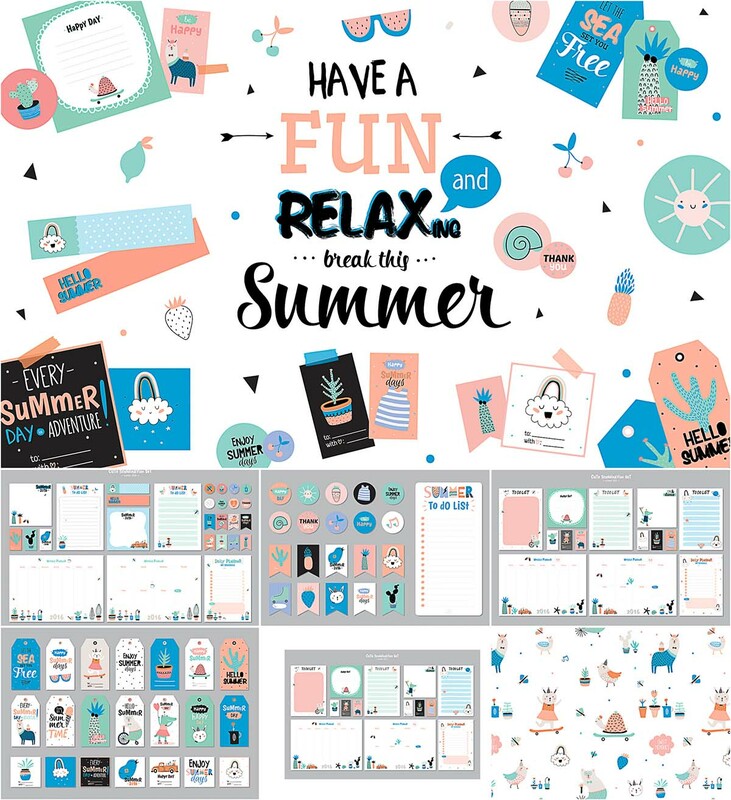 Set of 16 pages with weekly and daily planners with To Do Lists, 50 different stickers, 14 gift tags, 1 seamless pattern. File format: .eps, .jpg, .ai, .png for Photoshop or other software. Tags: badge, daily planner, printable planner, sticker, summer, tag, weekly planner.